Blog | Walker Sandford Property Management Ltd.
Renovating and remodeling your property can not only improve the way you live in and enjoy your home, but if done right it can also add value and increase your home’s future selling potential. There is no doubt that wherever you are located any of these improvements, when doe right, will increase your home’s value. These figures are estimates and depending on your postcode the average figures either increase or decrease , so checkout the infographic below for a more personalised estimate. Here in Scotland water is one of the worst enemies of masonry. If allowed to penetrate, it can cause serious damage to the masonry structure, not to mention that it encourages the development of efflorescence, mold growth, joint and cavity steel corrosion as well as the loss of insulation value. Due to the potential risks that water presents, the application of water repellent coatings should be considered as a part of masonry’s maintenance. Basically, water repellent coatings keep water from penetrating the surface of masonry structures, but allow water vapor to enter and leave through the masonry “pores.” Because they are usually transparent, they do not create a film on the surface, thereby preserving the original appearance of the substrate. It should be noted, however, that water repellent coatings should be chosen and applied with great care. This is because some products may actually hasten the deterioration of masonry structures rather than protecting them against the effects of water and changing weather conditions. Thus, if you are planning to purchase a water repellent coating for your masonry surface, you might want to consider these tips to arrive at an informed choice. Take note that water repellent coatings for masonry come in five different categories: acrylics, silicones, silanes, siloxanes and blends (a mix of silane and siloxane). Each of them has unique properties, provides varying levels of protection, and may only be compatible with certain type of substrates. Because of this, it is important that you first analyze the type and condition of the masonry that you are dealing with as this will help determine the kind of water repellent coating you should use. 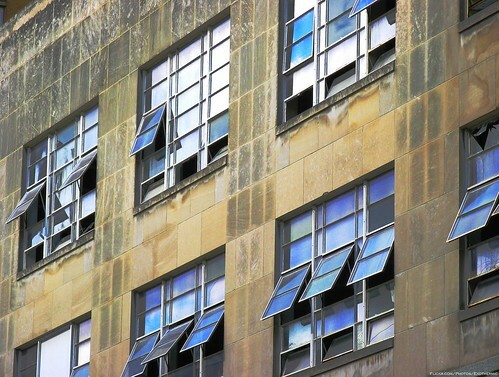 Accordingly, many experts recommend choosing breathable coatings that have high water vapor transmission—the amount of water that can evaporate on the face of the masonry. Coatings that are not breathable will only trap water and soluble salts that may affect the integrity of the structure and may also cause cosmetic flaws like efflorescence and soiling. Assuming you are aware about the kind of water repellent that suits your needs, it is recommended that you select about five water repellents for testing. Test each of them on the inconspicuous areas of your masonry. At the most, you want a water repellent coating that does not leave an undesirable wet, dark or glossy film on the surface. Once you have chosen a good water repellent coating for your masonry, keep in mind that it will not be good enough if you apply it incorrectly. A water repellent coating should only be applied after all the necessary repairs are done on the masonry. That is, patch up cracks or voids and repoint damaged joints if needed. You should also consider the weather as this can affect the water repellent’s ability to protect your masonry. If you apply the substance during cold weather, you are asking for all sorts of problems to appear on your masonry. This article was contributed by Ericka, an avid writer who regularly contributes content for McIntyre Masonry, a premiere stonemason Glasgow company. It’s been a long drawn out, wet and windy winter. At last Spring has taken hold with the wonderful sunshine we have all seen this week here in Glasgow and Summer is in the air. I dont want to dampen your enjoyment of the warmer weather, and it may be the last thing you want to think about, but now is a great time to take care of the one household appliance that kept you toastie though the winter. Over the past few months I’m pretty certain that like me, you have put your boiler through a lot. Whether we want to run a bath or draw fresh water to do the washing up, we rely on our boilers constantly throughout the day. Good quality boilers are built to be durable but after a certain number of years they are likely to need some attention – or replacing altogether. Being in the know when it comes to your boiler means you can spot problems early, which will prevent you from weeks of waiting for help to arrive. From suspicious puddles to ominous noises, we have compiled a list of five tell-tale signs that your boiler is on its last legs. A growing puddle of water sitting underneath your boiler is a pretty sure sign that it needs some serious attention. A water leak in the home is never a good sign and when it stems from the boiler it could result in irreversible damage. If you spot a water leak at the base of your boiler, you should endeavour to have it attended to as quickly as possible. The slow leaking of water may not seem like an issue that needs to be addressed immediately but ignoring it can lead to something far worse. This hazardous gas is both odourless and colourless, allowing it to escape human detection. If you do not attend to a water leak in enough time, a carbon monoxide leak might occur and this could prove fatal. Investing in a carbon monoxide detector is highly recommended for your peace of mind but you should also have your boiler regularly serviced by a qualified technician to identify any problems early on and help you know when it’s time to replace your boiler. If your boiler is emitting any unusual sounds it could well be a sign it’s on its way out. Hissing, popping and knocking sounds hint there may be deposits inside the boiler causing uneven water distribution. The pockets of water which result from this heat up rapidly; generating all sorts of weird and not-so-wonderful noises as a result. Furthermore, when the overheated water re-enters the system and quickly condenses, knocking sounds join the orchestra of unusual – and unwanted – sounds. Does the water switch from hot to cold and then back to hot as it runs? Or does hot water only seem to be available when the heating is on? If either of these applies to you, it could be time to get a new boiler. Even relatively small signs like these can trigger something far worse so it is worth calling in a professional as soon as possible. As we are all well aware, energy bills are rapidly climbing in price and boilers account for around 60% of these. A new boiler could cut your heating bills by up to 40%, which could save you money in the long run; especially if utility bills continue on their startling upward trend. This is a guest post courtesy of Simon Colley who works in the marketing department at Boiler Guide, a resource for customers seeking central heating professionals to fit a new boiler in UK homes. Homeowners seem to like the eco-friendly benefits as well as the fact that it brings benefits that lower their utility costs as well as decreasing any negative environmental impact. Green plumbing fixtures also add value to a home when the home is being prepared for sale, making these updates a worthwhile investment for years into the future. Learn more about how much money green updates can save you, and how to get started on greening the plumbing in your home. 1. How Much Water and Energy Can Green Plumbing Updates Save? Updating old leaky plumbing fixtures with new efficient green fixtures could reduce water usage in the home by 30 percent or even more. When the amount of hot water that is used in the home is reduced, this can further lower energy costs due to the cost of heating the water as well as the wear and tear on the water heating system. For a typical household, several hundred dollars could be saved each year just by greening the plumbing fixtures. Getting started on green plumbing is best done with an experienced plumber. Professional plumbers have the right tools and equipment to make updates to any type of plumbing fixture. They also do the work quickly and accurately so that no damage is caused during the updates. An easy way to get started is to update one or two fixtures at a time, such as switching over to low flow faucets or dual flush toilets. Making the transition over a period of time might make it easier on everyone in the home. However, for the most bang for your bucks, there is no better way than to have all the plumbing updated at once. 3. Is It Worth the Cost? While there is a small investment required to purchase green plumbing fixtures and to pay for their installation, the savings will be reaped for years into the future. In most cases, replacement of old leaky fixtures with new energy efficient ones will recoup any initial investment within one to three years of regular use. Tankless water heaters. Operated with either natural gas or electricity, a tankless water heater uses a fraction of the energy of a traditional water heating tank. Low-flow faucets and shower heads. These devices add air to the stream of water so that the pressure is not affected by the reduced amount of water released by the fixture. Dual-flush toilets. These toilets offer two flushing options, one for liquid waste, which uses a fraction of a gallon of water, and the other for solid waste, which uses the typical one to two gallons per flush. Aerators. Adding aerators to the kitchen and bathroom faucets reduces water flow but not the water pressure of what comes out of the fixture. 5. What Homes Benefit from Green Plumbing Updates? All homes benefit from green plumbing updates. Any home can be retrofitted with devices such as a tankless water heater, dual-flush toilet or new aerators on the faucets. In most cases, homeowners do not even notice a difference in the quality of their showering or hand washing experiences after making the upgrades to more energy efficient plumbing fixtures. What they will notice, however, is the decrease in water, electricity and natural gas costs once the plumbing upgrades are installed. Rachel is a blogger for Aramendia Plumbing, Heating & Air, a plumbing company in Fort Worth specializing in green plumbing updates such as tankless water heaters. You can follow Aramendia @GoodGuys1st. What do you think? Have something to say? Join in our Social Media conversation. Leave a comment about any of the posts in this blog or go to our Facebook Page and contribute there. Spring is here. It’s time to plan your summer food garden. Grab a notebook and pen because you are going to be noting plans and sketching pictures of your vegetable patch. You have an idea what you want to plant, so let’s make it a reality. Ready? First sketch your plot. If you have a conventional garden space add all the features like your fencing, the kids’ swing set and outdoor toys. You don’t want the garden too close to these things because the kids will most likely trample your plants. If you have a pool of a hot tub chemicals might splash onto the garden and kill your plants. If you simply have a small veranda, roof top or window boxes then prepare your containers with the same care. Day 1: Prepare your garden beds by digging to loosen the soil and adding organic material. Most plants are content with 6 to 8 inches of good ground for their roots to grow in. Water this and come back tomorrow. About two inches beneath earth into which you’ve poked your finger, drop your seed. At the head of the row place a paint stirrer with either lettering or the seed packet denoting what the row contains. Plant your rows about one and one half foot apart. Note: Planting herbs between rows of vegetables keeps pests from munching on your dinner. Some pests are good, because they destroy damaging pests. Planting parsley, dill and coriander attracts the good pests. The bad ones can be kept at bay by planting sage (repels cabbage moths and carrot flies), borage (repels tomato worms) and catmint (repels aphids, potato beetles and squash bugs). Wood chips work best because they conserve water. Place your garden hoses beneath the wood chips or other mulch. This ensures the roots get enough water. Most people just sprinkle water atop the plants, but this doesn’t help the roots. The water evaporates in the heat. Water your plants early in the morning or very late at night. It’s cooler then and evaporation won’t happen. If you live in an apartment and want to grow vegetables in containers or window boxes, make sure you have the proper acidity in the soil. The best way to do this is to make a pot of tea and then water it down considerably. Pouring this into the soil brings up the pH of the soil, but it doesn’t harm the fruit. Pick small veggies frequently; it encourages regrowth. Make sure to pinch the tomato plants or they won’t grow new fruit. Trimming the leaves will also ensure new growth. Before you plant blueberries, know that they need soil high in acidity. Prepare the soil for a year or so before planting them in winter or early spring. If you want strawberries all summer long, plant everbearing. The June variety only produces in the spring and they are larger than everbearing. Raspberries planted once, along with strawberries, come back year after year, but need to be pruned back so they don’t take over the plot. Dig up root plants when the tops begin to flower for early veggies or when the tops turn brown for full-grown veggies. Check daily for squashes, cucumbers and courgettes. Catch broccoli and cauliflower as they head or they’ll burst. We hope you enjoyed this post. It was written by Nisha who represents a site called SimplyLoftLadders.co.uk. Have something to say? Join in our Social Media conversation. Leave a comment about any of the posts in this blog or go to our Facebook Page and contribute there.